Plans for a state-of-the-art new medical school building at the University of Lincoln have been recommended for approval. 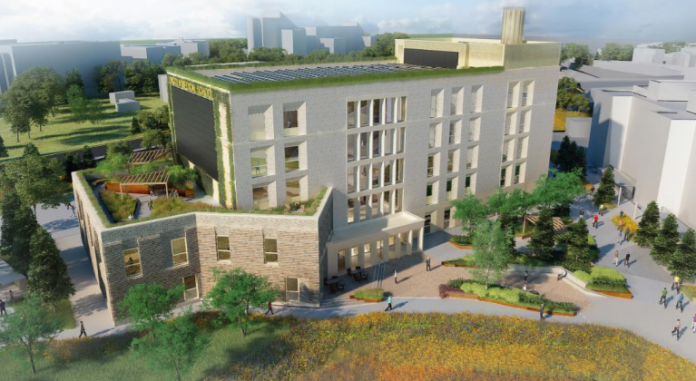 If given the final go-ahead, the £21 million building would be created next to existing science laboratories, the Janet Lane-Claypon Building, and opposite the University’s Isaac Newton Building on the southern edge of the main Brayford Pool Campus. The site already has outline planning permission under an existing masterplan with the first artist’s impressions of the planned building revealed last summer.